Interested in Renting a Town of Riverhead Community Center Room or Building? Please fill out the application below and submit. All applications will be reviewed and responded to as soon as possible. 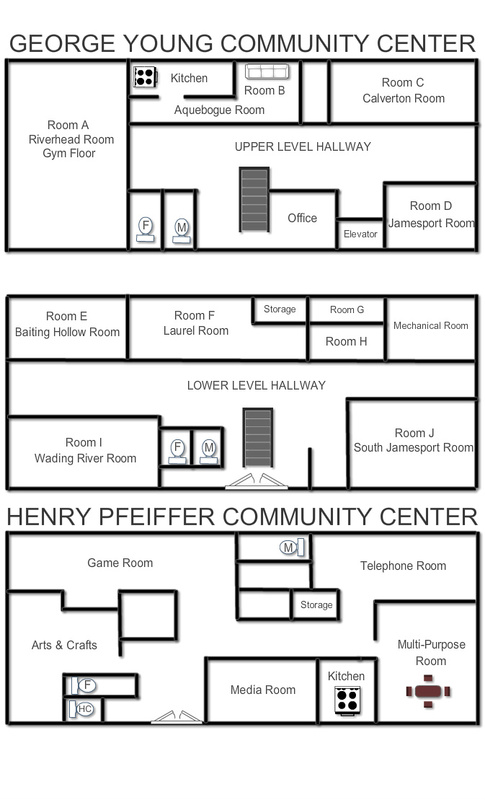 Please list: Specific Room based on the community center layout at the top of the page.